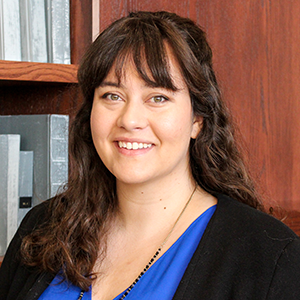 Katie Jarriel joins the Honors College as a Clinical Assistant Professor in Fall 2018, where she is also serving as Faculty Honors Preceptor for Silver House. She recently completed her PhD in Classical Archaeology at Cornell University. Her dissertation is titled Small Worlds After All? Landscape and Community Interaction in the Cycladic Bronze Age. Katie's research combines archaeology and computer modeling to explore how people living in the Mediterranean during the Bronze Age created communities based on a shared sense of place. While her main area of interest is Greece, she has also done archaeological fieldwork in Spain, Israel, and Cyprus. As an undergraduate, Katie attended the Honors College at the University of South Carolina, where she received her BA in Anthropology. She looks forward to teaching courses on classical mythology and its modern reception, human materiality, and human-environment interaction.